Our 2-day rope rescue techniques course will give you the skills and knowledge to get out of almost any of the tricky situations that climbers can encounter. It covers all the fundamental techniques of rope rescue, from prusiking right up to dealing with an unconscious casualty dangling over an overhang on a sea cliff. Most of us when we go climbing never think about the possible problems we may incur. Or if you do, we think we may be able to deal with any situation we are dealt with. But have never had to put these into practice. On our rope rescue techniques course, we will provide you with the tools and techniques necessary to deal with the most complicated of rescues. The course lasts for 2 days, and is run in Gloucestershire (Wye Valley), Avon Gorge (Bristol, Somerset) or North Wales. Our client-to-instructor ratio does not exceed 2:1, so that we can give you our fullest attention. Gloucestershire (Wye Valley), Avon Gorge (Bristol, Somerset) or North Wales. To gain the most from the course, you need to be lead climbing to a minimum of VS Grade. If in doubt about whether the course is suitable for you, please don’t hesitate to contact us. We will spend day one looking at basic techniques like prusiking up and down a rope. How to tie off a belay plate once weighted and escaping the system. Abseiling past a knot, lowering past a knot. Here we will use of the of tools learnt on the previous day, and put them all into practice on some real life scenarios. Where you will be put on the sharp end, under our guidance. 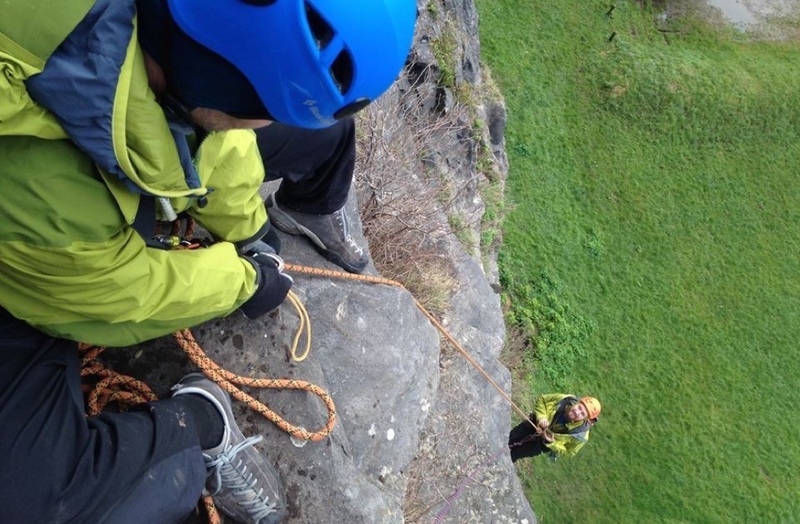 The course content and location tend to be dictated to us by the weather, so the rope rescue techniques course layout can change. If you are unsure whether the rope rescue techniques course is suitable for you, please do not hesitate to contact us on info@riseandsummit.co.ukor call us on 07775 853 348, and we would be happy to help.